I used to hate running. Now I’m signed up for a marathon. People often assume that since I’m a registered dietitian nutritionist, I must have always been healthy and active. But I was far from athletic growing up. Pizza was at the top of my food pyramid, and I was allergic to any kind of exercise, especially running. I avoided it at all costs. Every time I ran, my lungs burned, my cheeks flushed hot with embarrassment, and I felt like I might be sick. I successfully cheated on the 8th grade mile test by skipping a lap but a year later, I was unable to evade the watchful eyes of my freshman P.E. teacher and failed the pacer test. As a result, I was made to run around the track to supposedly increase my fitness, but all it did was make me hate running even more. Fast forward to the end of my senior year at the University of Illinois. I was out for a walk and though I don’t know what possessed me to do it, I decided to run. I said to myself that I would run as long as I could, just to see how far I could go without keeling over. Maybe it was because no one was telling me to do it, or no one was there to watch and judge my performance, but I ended up going nearly three-quarters of a mile — way farther than I ever thought possible. That three-quarters of a mile set a benchmark, and I realized that a 5K might not be out of the question if I just took the time to train and slowly increased my mileage. Since that three-quarters of a mile run, I have now trained for and completed four half marathons, two 10Ks, one 5-mile trail race, and nine 5Ks. The kicker? 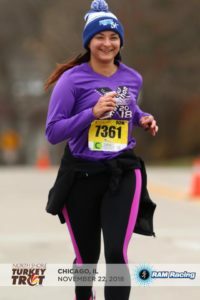 I just registered for the full 2019 Christie Clinic Illinois Marathon. I never could have imagined that a decade after that first foray into running that I’d sign up for 26.2 miles on my own terms. I would be lying if I said I wasn’t nervous or didn’t have any doubts about the decision but taking the plunge and registering for the race was the first step, just as it was when I signed up for my first 5K fun run. So, whether you’re a newbie considering trying a 5K or a more seasoned runner bumping up to a longer distance, I’ve found that to work towards a concrete goal is worth the price of race registration many times over. Register for that race! Do it! Find a training plan that includes gradual increases in distance and stick to it as best you can. 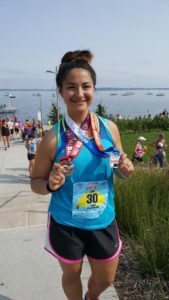 So, in short, how do you go from hating running to signing up for a marathon (or any other race distance)? 1. Sign up for a race. 2. Train gradually for the race. Of course, there’s much more to successfully completing a race (finding the proper shoes, staying hydrated, doing it with a friend, etc.). But at the heart of it is consistency. Slow and steady may not win the race, but it finishes the race. No matter how long it takes you to get there, I promise, you’ll feel like a champion crossing that finish line. 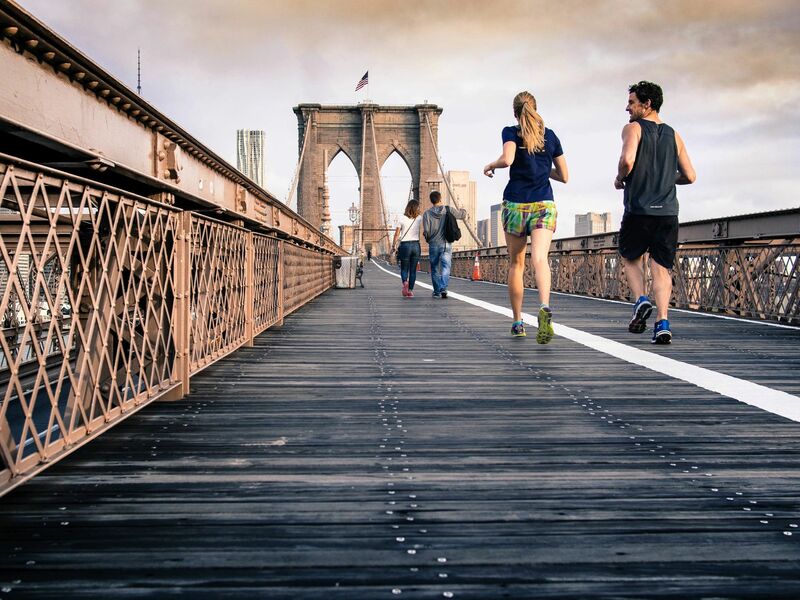 And if you’re like me, you might find that you no longer hate running. Note: This post was originally published on the Illinois Marathon blog, 9/19/18. Additional images have been added to this version. Next Next post: Yes, you can patent nature. Here’s why that’s a good thing.